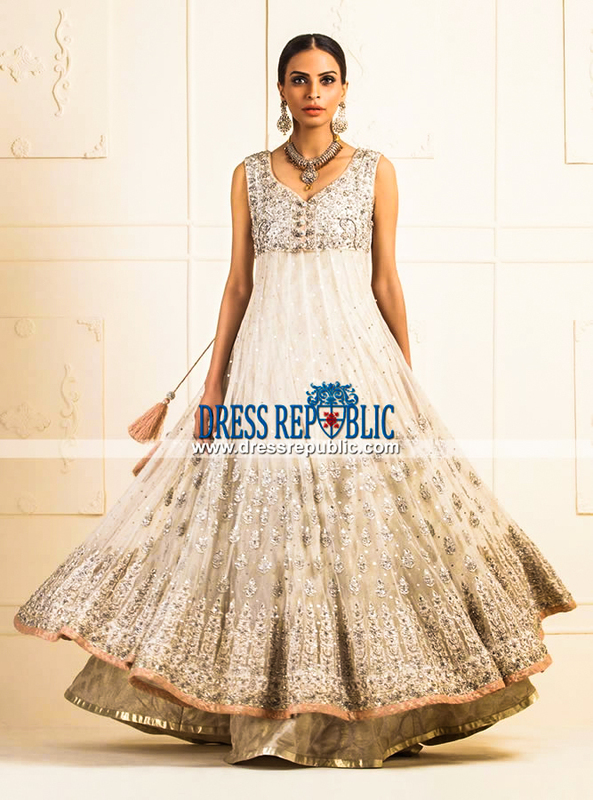 White-solid net paneled anarkali dress with attractive flares. 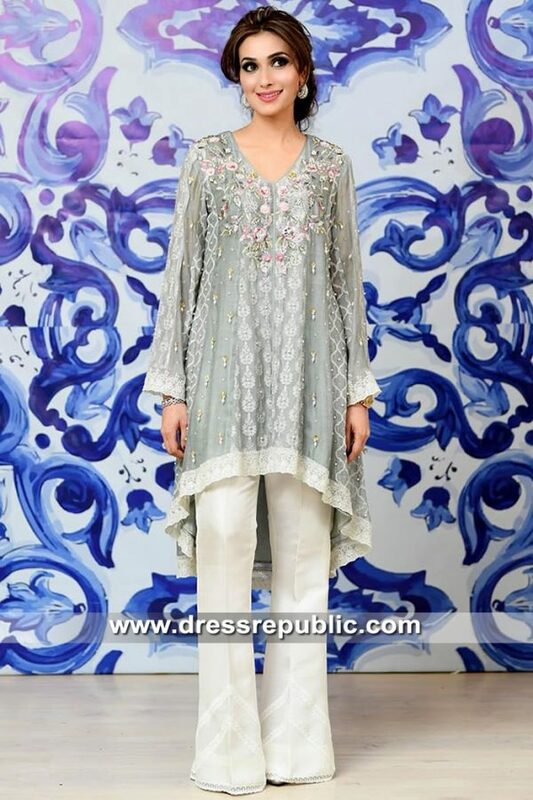 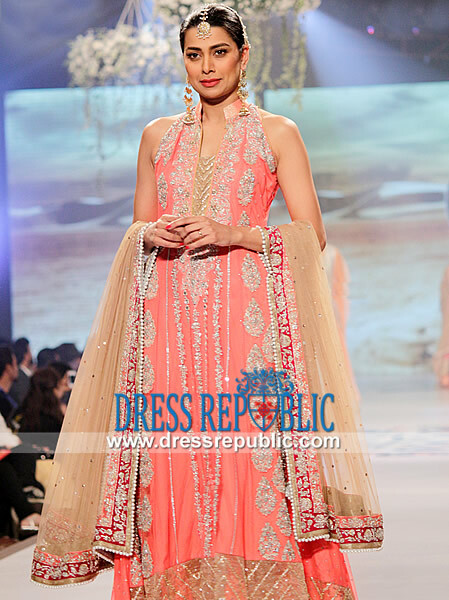 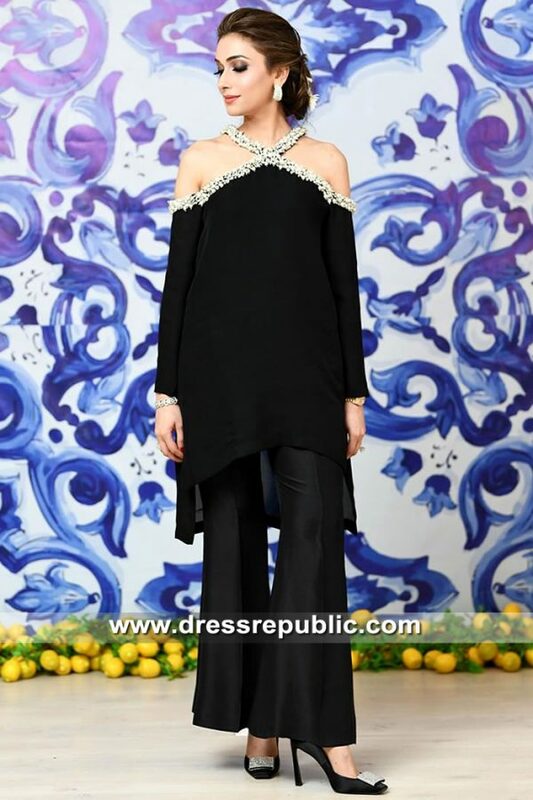 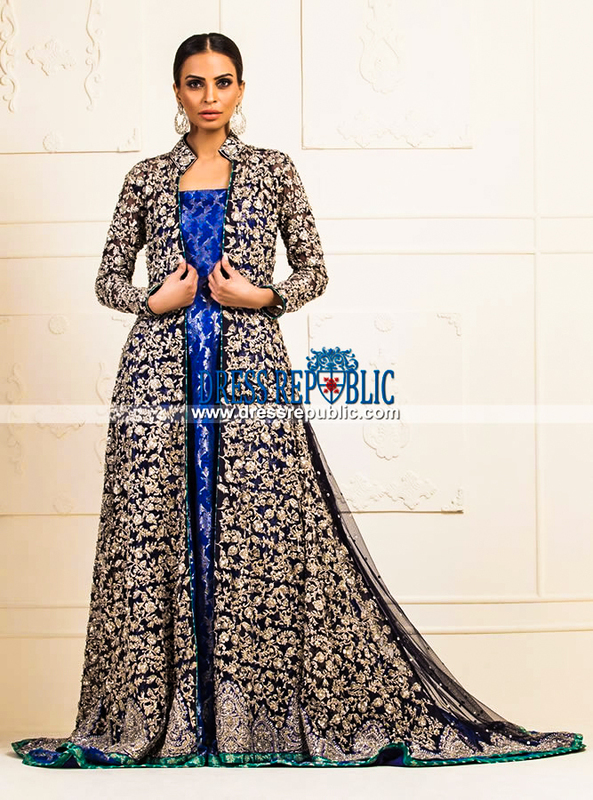 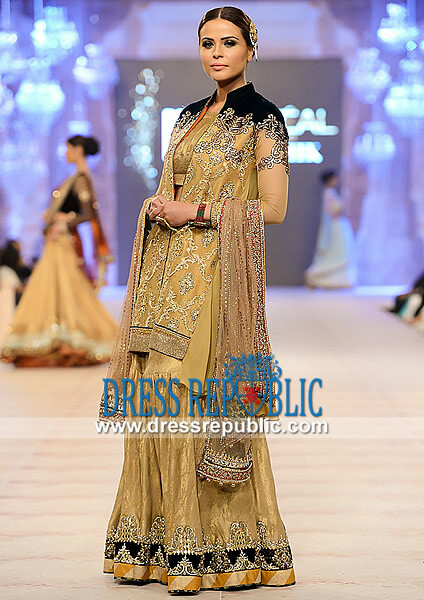 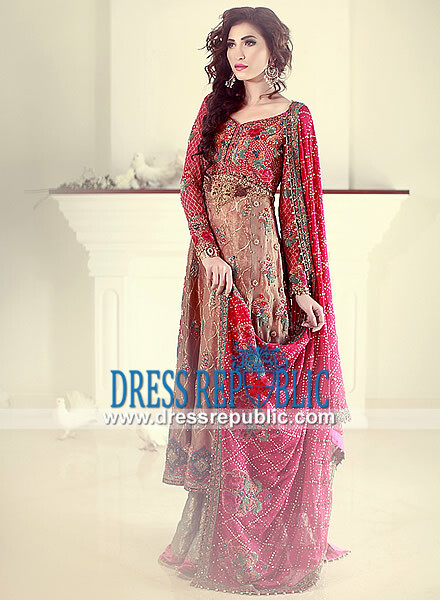 Outstanding embellishments on bodice and and all around hemline with peach jamawar borders. 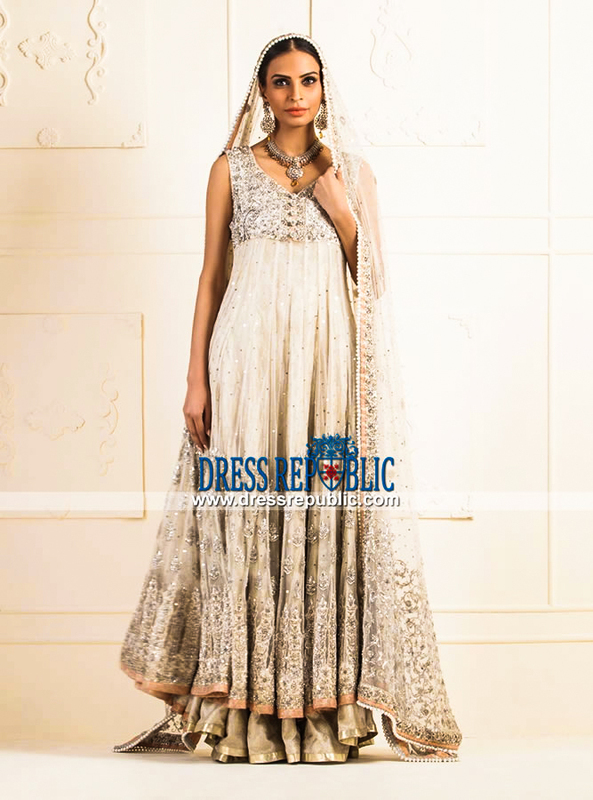 Sweetheart neckline with wide straps. 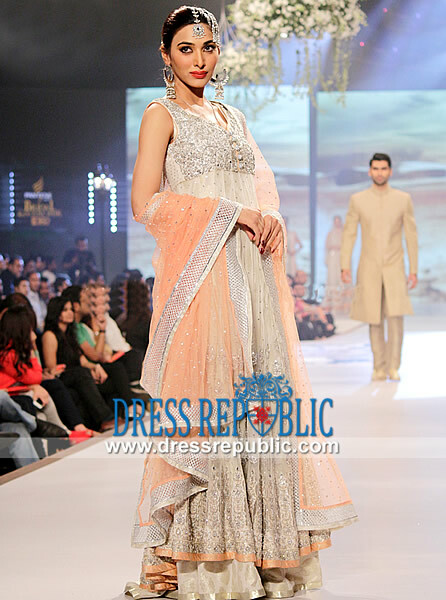 White-solid lehenga in jaamawar fabric. 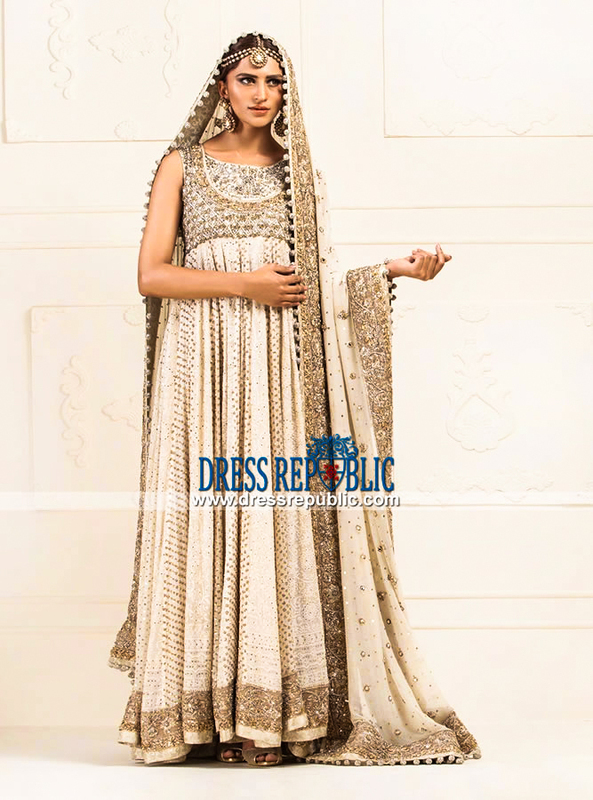 The dupatta is crafted in net fabric; stunning embellishments on pallu and all around the borders with pearl detailing and sequins shower throughout.